You’ve done your research and you know that planning a destination wedding in Tahiti is a huge time commitment… hours spent at researching, corresponding via email, making phone calls, meeting people, trying to put it all together in one piece, making payments etc. This clearly does not leave one much time to look after anything else during the months leading up to the wedding day (note to self: don’t forget to look after myself). Not mentioning that your guests will be asking questions and will be eager to know more about the destination. Managing such a trip intimidates you? Don’t know where to start? Feeling totally overwhelmed or even frustrated? So do most couples who come to me, and that’s totally normal. My clients all have super busy lives, heavy workloads and great responsibilities to take on at work so it is crucial that they can rely on someone to take the heavy wedding planning work off their shoulders, and that they can be guests at their own wedding. If you want to make it easier to your guests by providing them some sort of an itinerary, the best travel tips and to organize group activities and pre/post wedding events for them to make the most of their stay in Tahiti, then the wedO(itall) package is for you. I called it this because… I will do it all for you! I have traveled the Islands of Tahiti extensively over the past 10+ years and will put my network and preferred vendors list to your service. 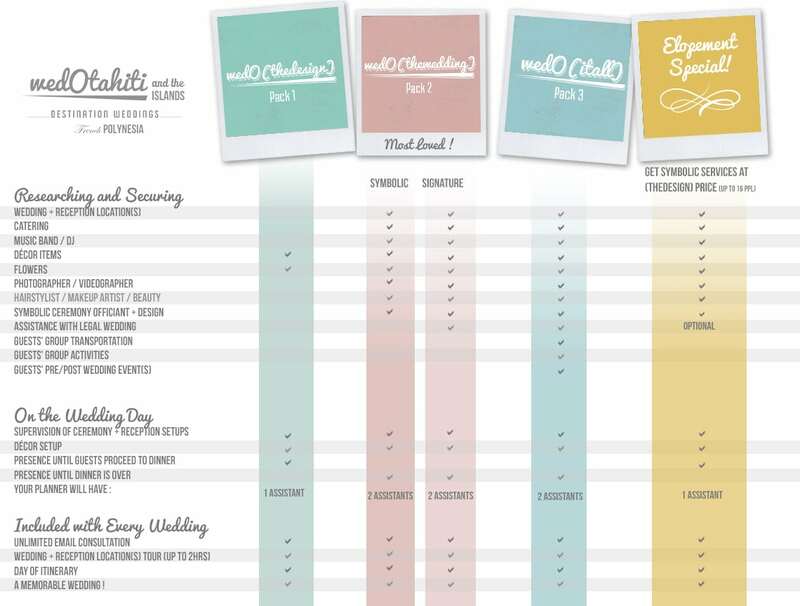 It’s like having a Wedding Planner doubled with a Personal Concierge! Everything from researching, selecting and organizing the wedding ceremony and/or reception locations, catering or restaurant, music band and/or dj, décor, flowers, photographer and/or videographer, hair stylist and makeup artist, designing and staging your wedding ceremony in Tahiti (does not include the actual cost of the ceremony but only the layout and all things for the ceremony arranged), plus my assistance with the required paperwork to meet the requirements for a legal marriage in the Islands of Tahiti, being the translator (into English) on the wedding day, [anything] will be handled from my end, jointly with you, for the wedding. I will also coordinate your guests’ group transportation, activities, and all pre or post wedding events you’ll want to share with them… no latecomer, no unnecessary stress, you are all looked after! I will put together a detailed timeline for the wedding week, and orchestrate all set up from start to finish, handle the set up of your décor and supervise that all goes right throughout the day (until you have gone to bed and it’s time for us to break down). Nelly took the stress out of planning multiple events for our wedding guests. In addition to an authentic Tahitian wedding ceremony, fusion tasting brunch, and Tahitian Tamara’a complete with fire dancers, there was a fabulous picnic on a small island and a welcoming cocktail dinner. Nelly was always available to respond to questions and take care of all the details that hosting a destination wedding entails. 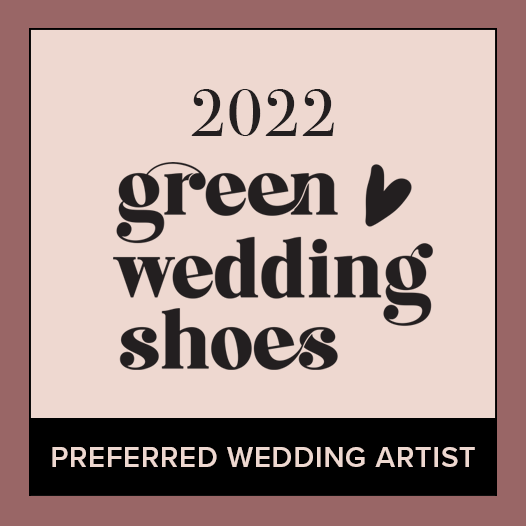 She knows what to ask and helps plan a wedding that meets your budget, personality, design sensibilites and fantasies! She knows who to call to make it all possible and everyone she works with exhibits the same professionalism and care. We had 60 international guests who flew to Tahiti and another 60 local guests. The logistics would have been daunting without Nelly. Nelly was outstanding at keeping everything organized and running on time. If you are planning a wedding in French Polynesia get Nelly’s help – It’s the best decision I made! Purea (MOB) from Corralitos, CA – U.S. Without Nelly we could not have pulled off the wedding of our dreams. Not only was Nelly fantastic to work with on the “vision” but she was excellent at managing vendor relationships and organizing the details. Nelly was always very prompt to reply to email, and especially as the wedding date approached, her trackers and timelines were invaluable! I could not recommend working with Nelly more. More important than the venue, the food or the flowers, wedOtahiti was the best investment we made. Nelly, we cannot thank you enough!! Allie from Newport Beach, CA – U.S.
I’m super flexible and can customize! Quick & Secure Payment by Credit Card AT NO EXTRA CHARGE (no processing fees! ), or by Wire Transfer.